Job seekers can send in a FedEx application for the chance to work for the most popular delivery company in the entire world. Founded back in 1971, FedEx (Federal Express) has managed to take over the world in its 45 years of activity, as it currently operates worldwide. The American global delivery services company employs more than 300,000 people at the moment and continues to expand. This guide will help you fill out the FedEx application, and explain each step of the FedEx hiring process. You can also find examples of FedEx interview questions, and tips for the interview. Apart from full-time and part-time jobs, FedEx also offers internships for college students. If you are a student looking gain more work experience, applying for a FedEx internship is a very sound plan. Bear in mind that these internships might not be paid, however. If you need financial help, consider applying for our scholarship contest! With our scholarship, you can make the most of your FedEx internship, without having to worry about the financial aspect. Submit your FedEx application today! Submit here. Monday-Friday: 7:00 A.M.– 11:00 P.M.
Saturday-Sunday: 9:00 A.M. – 9:00 P.M.
To avoid confusion, customers are advised to use the FedEx store locator to find the schedule of the location they are interested in. Company policy dictates that all candidates must be older than 18 to be eligible for the FedEx employment process. Younger applicants may only apply for FedEx internships. The FedEx application process is performed online, on the FedEx careers portal we mentioned. The procedure itself is relatively simple. Once you’ve found a job opening you like and feel is right for you, you can access the FedEx application form via the button on the right of the job title. Then, you can go on to create your FedEx application. You can apply for multiple job openings at a time. In the following sections, we will detail the FedEx application procedure and steps. Before you can apply for a job at FedEx, you’ll need to create a FedEx careers account. This account will allow you to apply to multiple job openings and monitor your FedEx application status. You will be asked to create an account when you choose to apply for a specific job. The information needed to create an account is very general. This does not count as your CV or Resume. The details you fill in to create a FedEx careers account are merely for identification purposes. 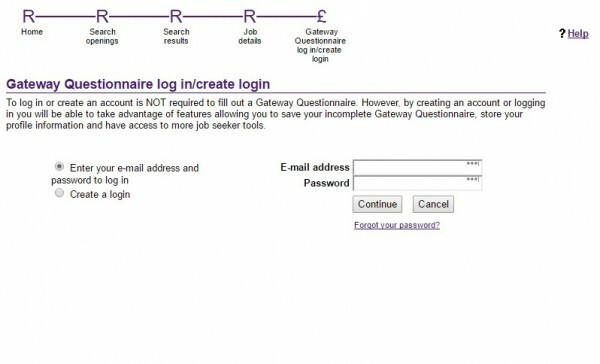 Candidates must create personal accounts on the FedEx application portal. After creating your FedEx careers account, you will be able to upload a CV. You can also write a CV directly in your account. However, it may be better to upload a ready-made CV, as it is easier to add or change information as needed. You will still have to fill in a FedEx application. This application will cover most of the information that should appear in your CV as well. However, the FedEx application doesn’t leave room for a lot of details. Applying using both your personal CV and the FedEx application form is a good idea. Candidates may add their resume and cover letter to this section of the FedEx application. 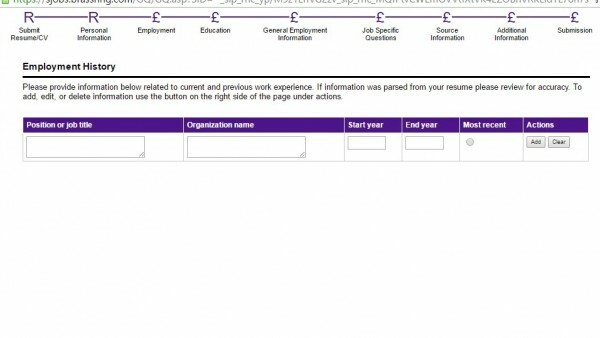 For this section of the FedEx application form, candidates must provide their complete contact details. Please note that these will be used to contact them regarding the following steps of the hiring process. Candidates must submit their personal details for this section of the FedEx application form. For this section of the FedEx online application form, job seekers will have to create an outline of their professional career. Since they have already provided detailed information in their resumes, the portal will only require them to mention the companies they have worked for, the positions they have held and when they have worked there. This section of the FedEx application will be very similar to your CV. However, as you can notice, you’ll not be able to leave any detailed description regarding your former employment and job requirements. 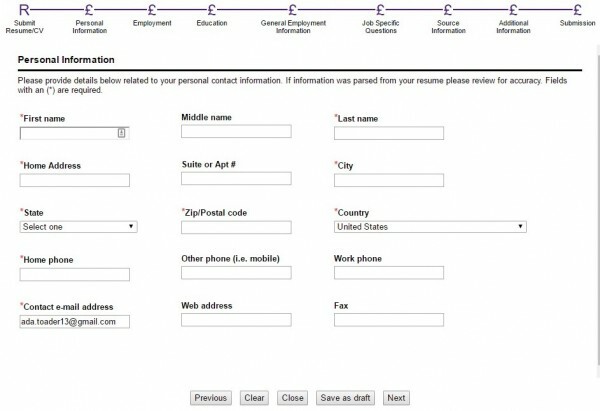 Candidates must provide details about their employment history for this section of the FedEx application. In the Education section of the FedEx application, you’ll need to mention your educational background, relevant skills and degrees. The section is quite straightforward and should be easy to fill in. This section of the FedEx application form is meant to verify whether or not the candidates meet the company’s hiring criteria. They will be asked if they are over the age of 18, if they are legal citizens of the United States and if they or their relatives have ever been employed at FedEx. This section is specific to each FedEx career and it includes a series of questions meant to check if the candidates meet the requirements of the position and the department they have chosen to apply to. Candidates must answer a series of pre-employment questions for this section of the FedEx application form. For this section of the FedEx job application form, candidates have to mention how they have learned about the position they are applying for. This question allows FedEx to get a better idea of how their recruitment campaign is going. It doesn’t influence your chances of getting hired in any way. Candidates may add the additional documents of their resume to this section of the FedEx job application form. This includes things such as diplomas, transcripts, and references. 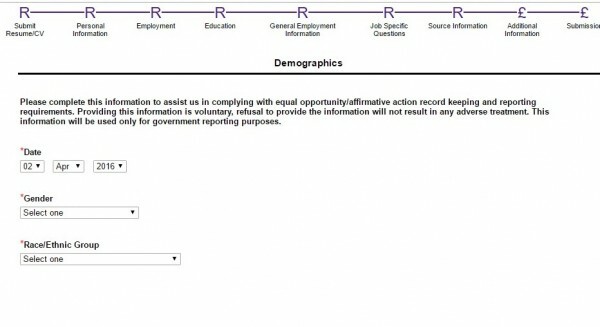 For the second part of this section, candidates can provide information about their veteran status, gender, race, ethnicity, and disability status. Please note that you don;t have to provide this type of information. If you don’t feel comfortable disclosing these details about yourself, you can opt not to answer. Candidates are required to answer a series of EEO questions for this section of the FedEx application form. 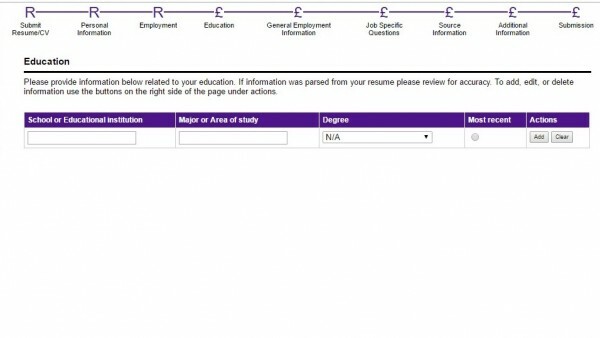 This is the final section of the FedEx application form where candidates can view their completed forms so that they can edit out any spelling mistakes or data inaccuracies they might find. When they complete the review, they can submit it to the Human Resources department for formal assessment. Please note that candidates will be able to track their FedEx application status on the portal so that they know when to expect a call from the company’s hiring specialists. This is the entry-level position at FedEx Supply Chain. Material handlers are required to perform tasks involving receiving, stocking, and shipping of various materials. They will perform in the company’s warehouses, cross docks, or production support environment. Please note that this position entails a high amount of physical effort. As this is an entry-level position, FedEx salaries start at $11.00 per hour. Experienced employees can reach an hourly rate of up to $16.00. Please note that Material Handlers are also entitled to profit sharing bonuses and benefits packs. Operations Managers are required to coordinate the development of all the FedEx Express departments so as to ensure that all deliveries are made in record time, that customers are having the best possible experience and that the financial requirements of the company are met properly. FedEx salaries start at $53,000 per year and can get as high as $95,000 per year. Aside for this base salary, operation managers are also entitled to profit sharing and cash bonuses meant to reward outstanding performances. Healthcare FedEx Benefits: Medical, Dental, Vision, and Prescription Plans. Insurance FedEx Benefits: Life Insurance, Supplemental Life Insurance. Financial FedEx Benefits: Competitive FedEx Salaries, Performance Bonuses, Stock Options, Employee Stock Purchase Plan. Retirement FedEx Benefits: Retirement Plan, 401(k) Retirement Plan. Paid Time Off FedEx Benefits: Vacation, Holiday, Sick Days, Bereavement Leave. Special FedEx Benefits: Special FedEx Employee Discount, Mobile Phone Discount, Legal Assistance. The FedEx application form is quite easy to fill out and it should take candidates approximately 20 minutes to fill out, provided that they have access to an updated version of their resumes. We advise you to review your CV before uploading it. They should make sure that it features all the necessary information about their professional and academic experience and that the listed contact details are correct. Then they can proceed to write their cover letter for the FedEx application form. It is very important that they do not skip this step of the form because it is an excellent opportunity to mention additional information about themselves that is not required for the form but that they consider relevant for their position. We would advise any candidate to fill in every single field of the FedEx application form, as long as they can provide relevant information. likewise, if you fill in a field by hand, make sure there are no spelling errors. It’s also a good idea to look at the job description and requirements, and use terms as they are written in these two documents. If an HR rep or automated software scans your application for keywords, this can make it easier for them to spot the relevant details. FedEx HR representatives and managers will review all FedEx applications. The candidates who have the best skills and who meet the requirements of the positions will be called in for the interview process. The number of interviews, as well as the development procedure of the job meetings, depends on the career department chosen by the candidates. They should expect to go through one to four meetings, which could be group interviews or one-on-one meetings. If you move on to the interview phase of the FedEx hiring process, there are a couple of things that could help. First, it’s a good idea to bring with you a copy of your CV, just to help you remember what you wrote. Likewise, stick to the topic as best you can. Unless the HR reps ask you to, you shouldn’t start boasting about skills or experiences that aren’t relevant to the position you are interviewing for. Speaking of which, it’s also very important to reread the job description and requirements. This will help you structure your answers during the interview. We strongly advise candidates to go through the following sample questions and try to answer them as if they were during the job meeting. This practice will prove to be very useful for their interview performance. Why have you chosen to apply for FedEx employment? What makes you the right candidate for this FedEx job? What are the traits that make you stand out from the others? Have you ever been chosen as employee of the month in your previous jobs? Could you please tell me about a time when you have exceeded your employer’s expectations? I am Mexican Citizen, I would like to be a part of the FedEx team, I am an Accountant and would like to develop my professional career with this fabulous company…. Check the FedEx careers website, careers.fedex.com, to see their current openings and locations. Once you find a job you’d like to apply for, you can return to this article, to see what you can do to ace your application. Good luck! How long does it take to hear from Freight/Express Material Handler it’s been two weeks since the application has closed. It really depends on the number of applicants. If there are several candidates for the same job, it may very well take longer than two weeks to process their applications. You should be able to track the status of your application online. Keep in mind that you can apply for multiple openings, or reapply to an opening you’ve applied for if they don’t get in touch soon. How long is the hiring process? The portal say I did my application 30+ days ago. Did I miss anything? Waiting a month or so for a reply is not uncommon, depending on the position you are applying for. We suggest you wait another week or two. If you do not receive any reply or indication the status of your application has changed, you may want to explore other hiring opportunities.